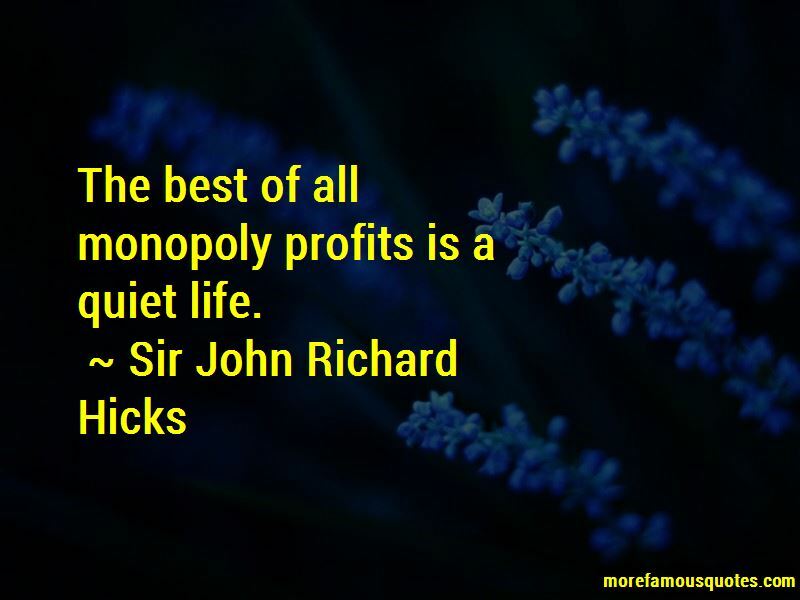 Enjoy the top 6 famous quotes, sayings and quotations by Sir John Richard Hicks. 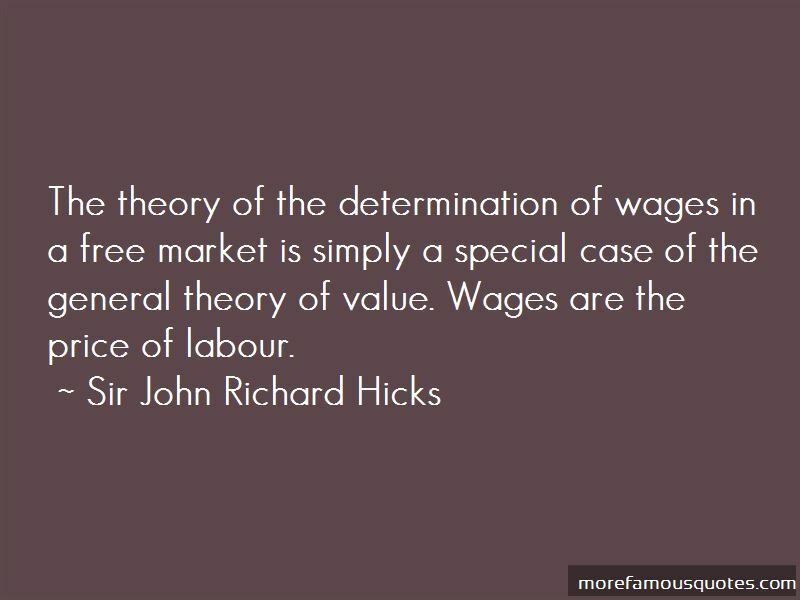 The theory of the determination of wages in a free market is simply a special case of the general theory of value. Wages are the price of labour. 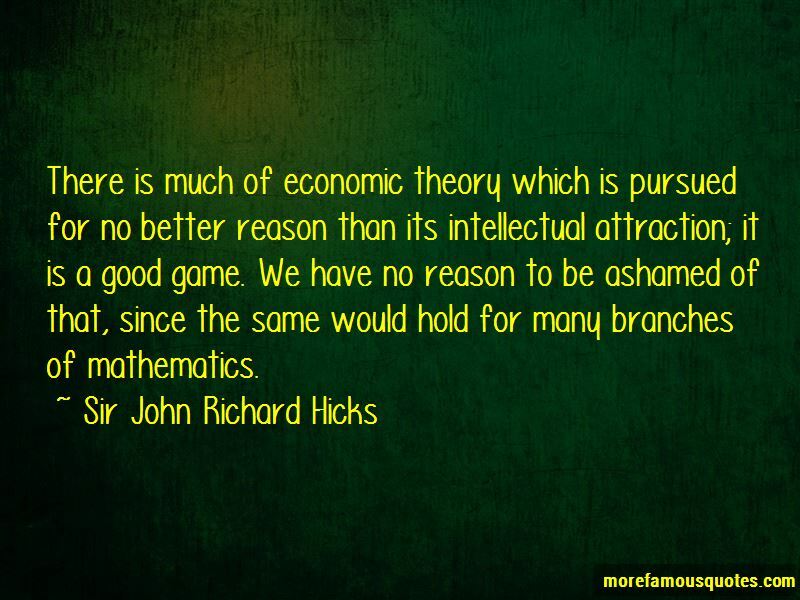 There is much of economic theory which is pursued for no better reason than its intellectual attraction; it is a good game. We have no reason to be ashamed of that, since the same would hold for many branches of mathematics. Want to see more pictures of Sir John Richard Hicks quotes? 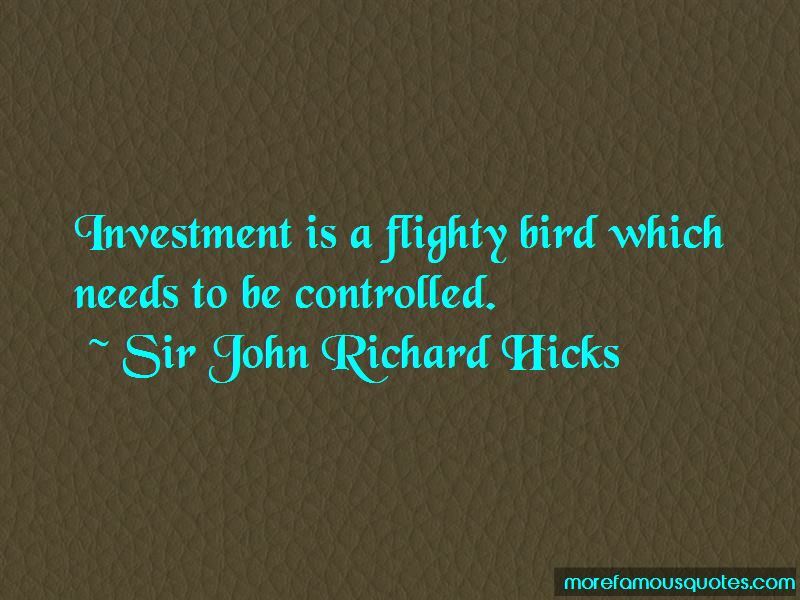 Click on image of Sir John Richard Hicks quotes to view full size.